You must know the following important points. 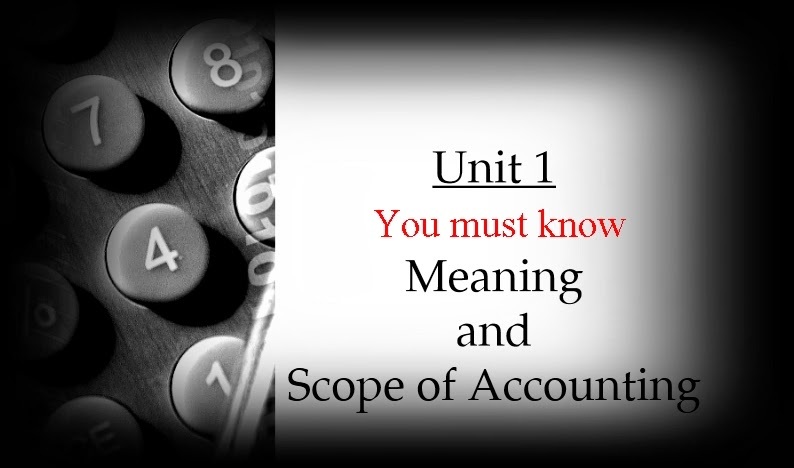 Understand the meaning and significance of accounting. Understand the meaning of book-keeping and the distinction of accounting with book-keeping. Appreciate the evolutionary process of accounting as a social science. Identify the various user groups for whom accounting information is to be generated. Describe the various functions or purposes of accounting data. Understand the relationship of accounting with Economics, Statistics, Mathematics, Law and Management. Explain the limitations of accounting. Appreciate the enlarged boundary of accounting profession and the areas where in a chartered accountant plays an important role of rendering useful services to the society.